Regional West Medical Center is accredited by The Joint Commission, the nation's leading accreditor of health care organizations. The Joint Commission develops state-of-the-art standards for health care and evaluates the compliance of health care organizations against these standards. To maintain accreditation, hospitals throughout the United States undergo an extensive onsite review every three years by a Joint Commission team, which may include an administrator, a nurse, a physician, and other health care providers. Accreditation by The Joint Commission is recognized nationally as a symbol of quality and indicates that an organization meets certain performance standards for activities that affect the quality of patient care. These hospitals are also eligible for a random, one-day survey between regular survey years. In 2013, Regional West received full accreditation by the Joint Commission. Full accreditation indicates that the hospital meets the Joint Commission's standards in all performance areas. 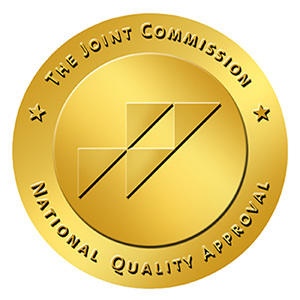 A list of Joint Commission accredited hospitals and their survey results is posted in the "Quality Check™" section of The Joint Commission website at www.jointcommission.org. Contact their customer service department directly at 630-792-5800 for additional information.